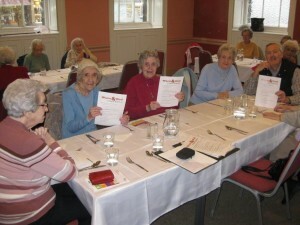 CCA is involved in ‘Warm and Well in North Yorkshire’ – an initiative led by Rural Action Yorkshire. It is funded by the British Gas Energy Trust (BGET). This has involved Phil giving talks on keeping warm and well in winter to a small number of local groups, including our own Lunch Club. The idea being to inform people about the best ways to stay warm and safe during the winter months. 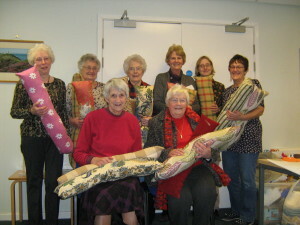 CCA Craft Club also did their bit for the Warm and Well initiative by making a total of 17 Draught excluders (One of many projects linked to Warm and Well) – all of which have been handed over to Northallerton Voluntary Service for distribution. Craft Club made an amazing 17 draught excluders for people in need.